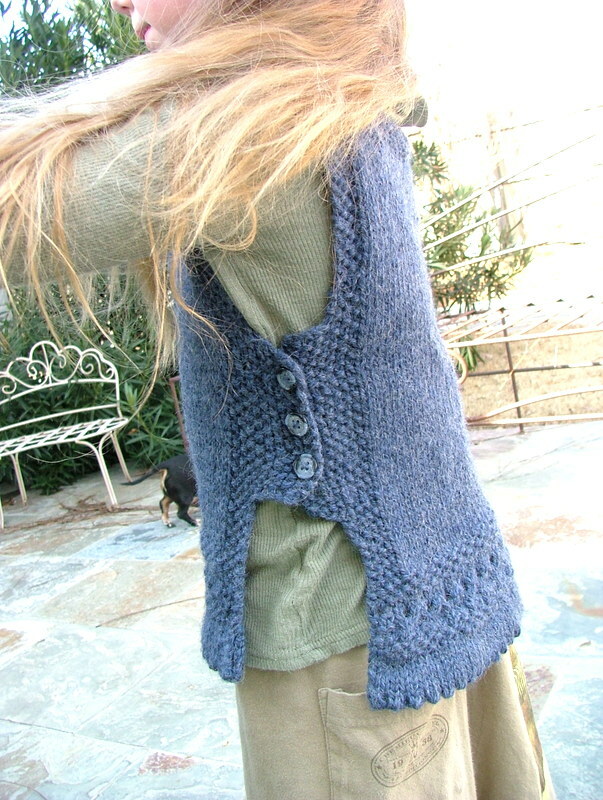 I am really into knitting vests right now. 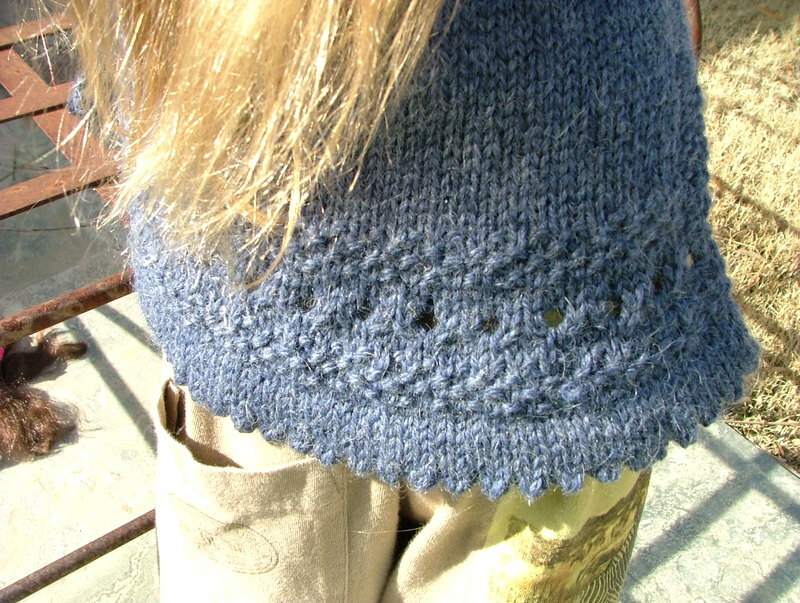 I love the look of them and they are fairly easy to knit up. Not nearly as much effort as a sweater but still looks great. Also, it doesn’t take nearly as much yarn. 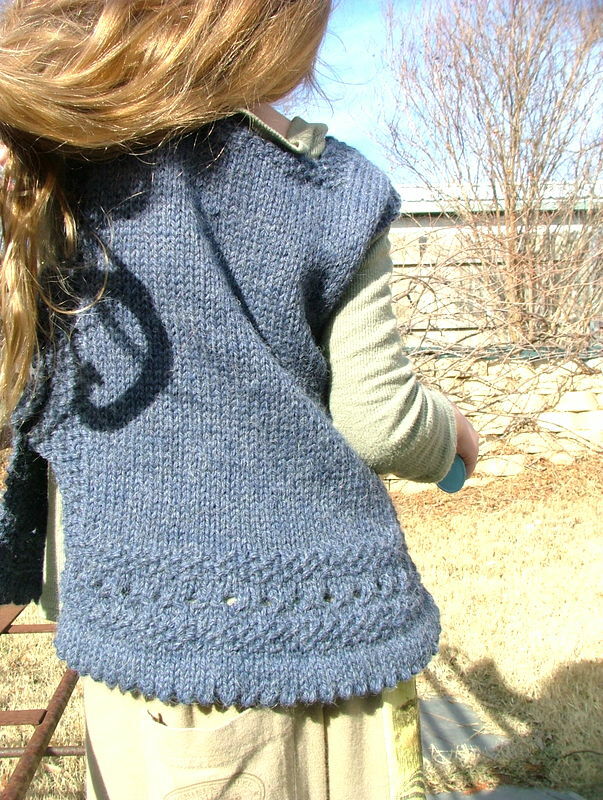 I also love the fact that for most of them you can knit them in one piece, without seams. 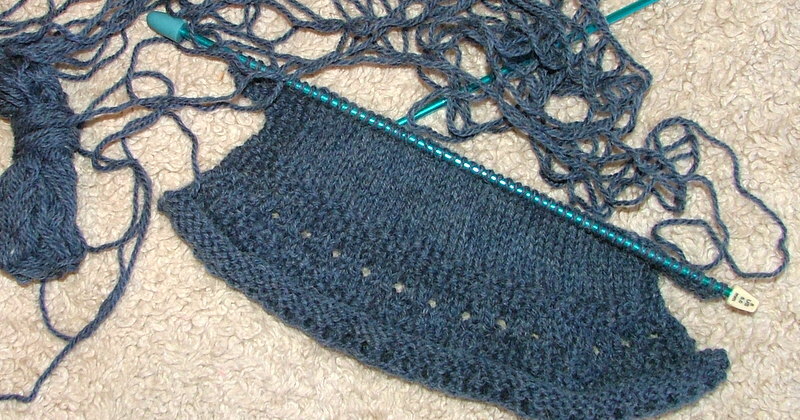 With this pattern you start at the bottom of the front and knit up and then down to the bottom of the back. Sounds easy enough. 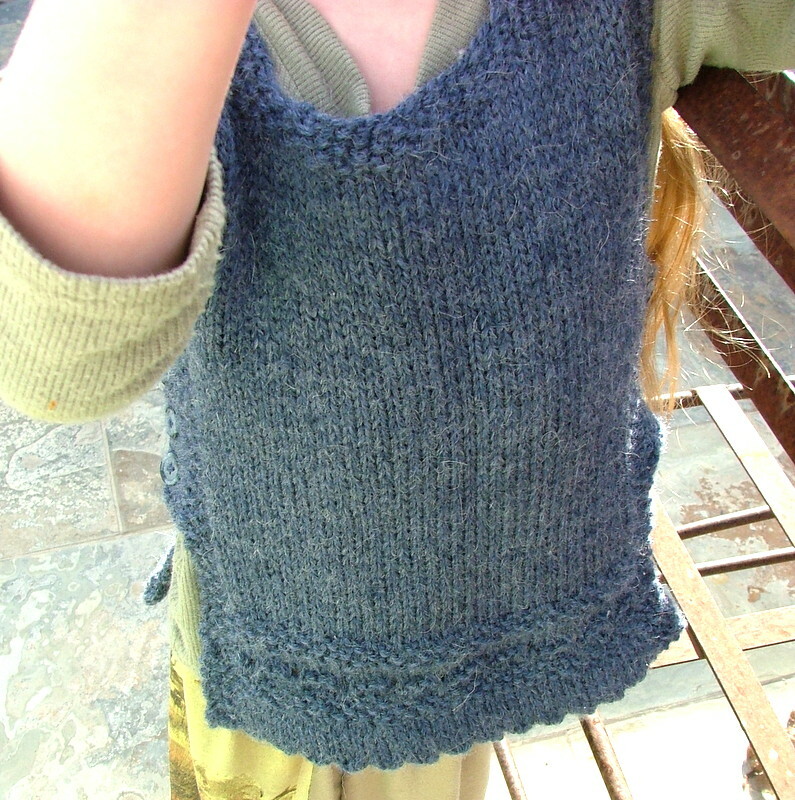 I loved the design of the esprit folk tunic pattern so I decided to knit it. The biggest problem that I had with this pattern is that all the measurements are in cm. Yuck for me, I had to google every measurement that came up, it really tripped me up. I started out great with the ‘pattern row’ that gives you that cute little scalloped look at the bottom which is called ‘picot’ and up into the eyelet row, which is where something really went wrong. Somehow I lost 15 stitches there! 15 stitches! How do you lose 15 stitches? I can understand losing 2 or 3, but 15? And the bad part is I didn’t even realize I lost them until I got all the way up to shape the neck. Way to far into it to take it out. You can see my HUGE mistake in the pictures where the bottom flares out. The vest still fit Aria and she was happy with it. She never noticed mammy’s big mistake. 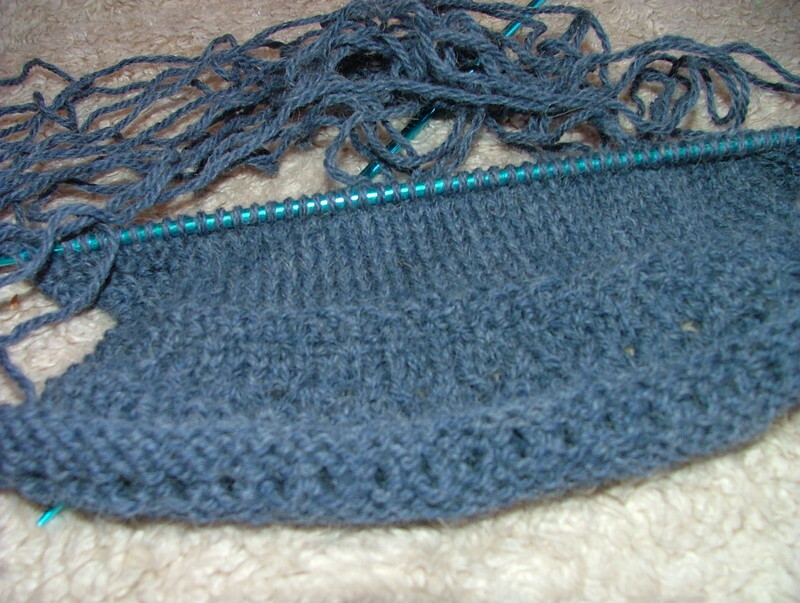 The yarn was 80% highland wool and 20% alpaca. I got it on ebay several years ago and I really loved it. 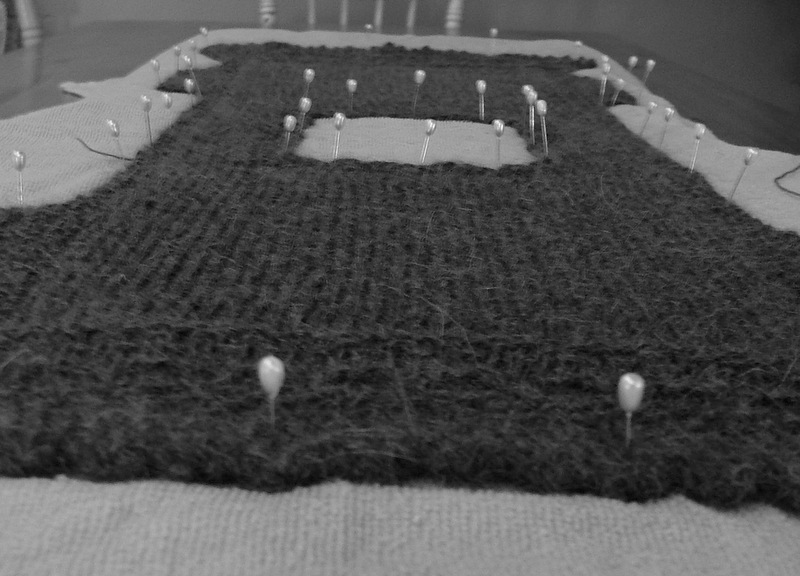 As you can see, it knitted up wonderful and it covered a multitude of mistakes. 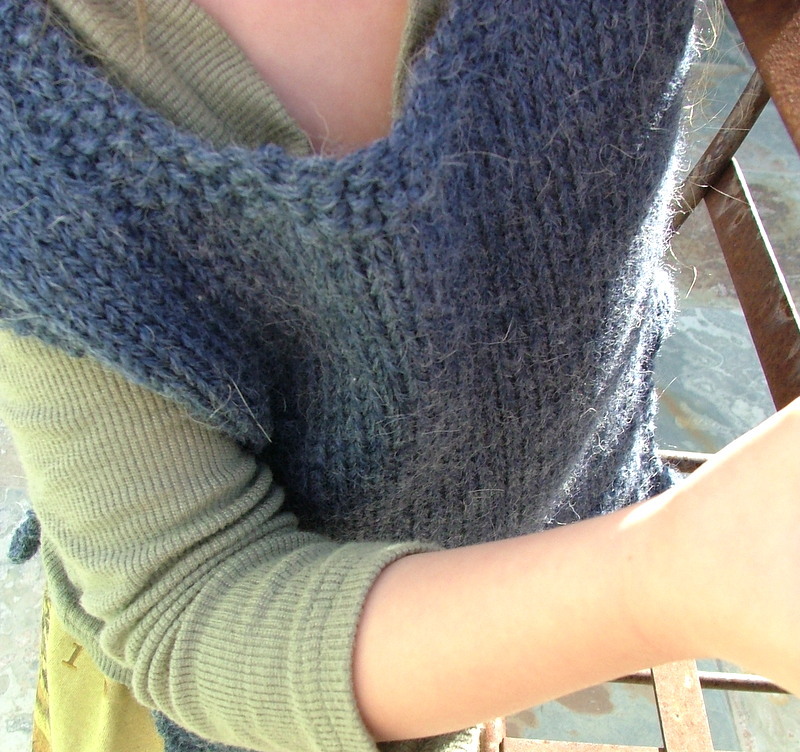 I will make this vest again because I just love it! This time around I will be more aware of the problem areas and I will be more careful, I have all the measurement wrote out on the pattern so I won’t have to look them up again. Type in Esprit Folk Tunic and it will take you right to it. If you have not ever checked ravelry out it is a must! It is amazing and you will love it. You can get more done, more quickly, than anyone else I know! 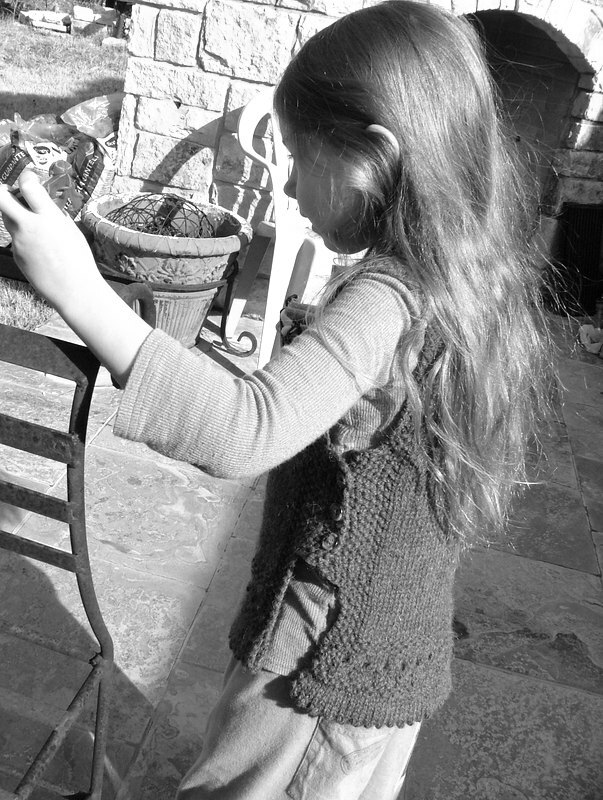 I love the little vest and I can’t believe how grown up Aria is getting! She’s beautiful. I think the vest is precious! It looks like it was made just for Aria. Thank you Rita! As you well know, they grow up so fast!! Thank you Anne!! She doesn’t see the mistakes. I think she knows it is all done in love, just like what you do for your precious girls!